I have joined today only in Indiamike though I have followed several threads before going to Jayanti & chilapata. Our Journey started on 7th March,2014 from Sealdah station as we boarded Kanchankanya Express @8.30 pm :D. We were 3 couples in group so had a great time in the train & it was a truly needed vacation after long time for us. Bubbling with excitement I was eagerly waiting to capture the picturesque Jayanti in my mind. Day 1(8th March,2014) - The morning started with a little disappointment as the train was already 3hours late:mad:. 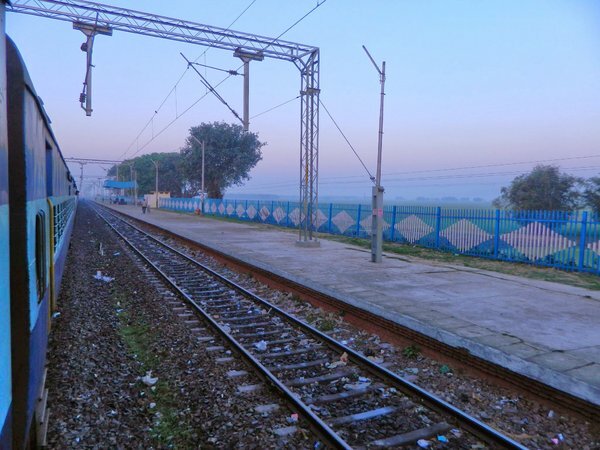 After crossing NJP station the view from the train was just amazing. 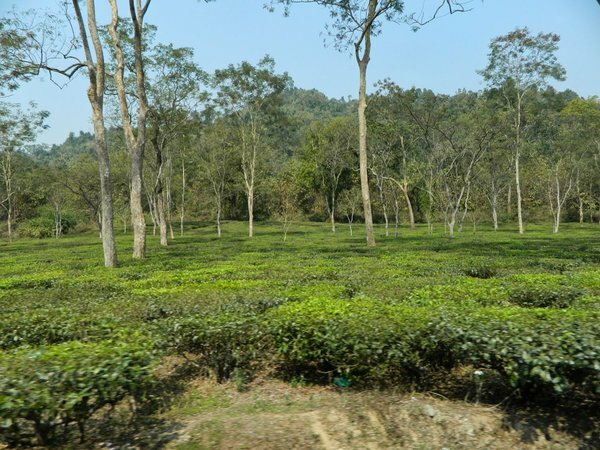 Crossing between the tea gardens & the forests in train was very new to me. We were supposed to reach Alipurduar @12.10 pm though the actual arrival time was 2.20 pm. Car was already waiting for us outside the station as we have already booked it from hotel. So we headed for Jayanti , which was 45mins journey from Alipurduar. 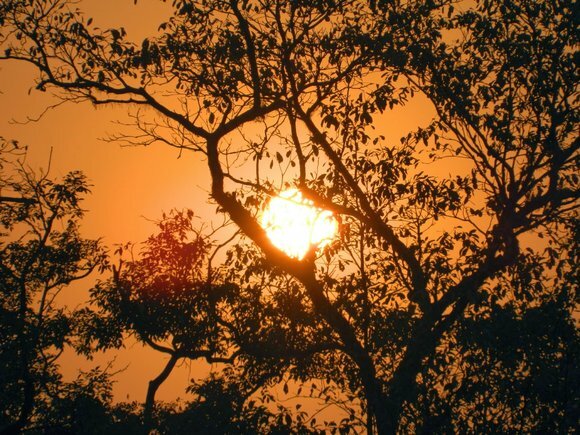 Hope you have exciting report and fabulous photos of picturesque Jayanti. 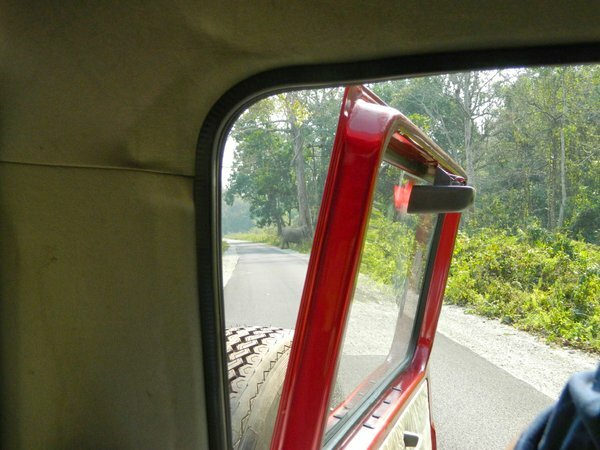 So as we headed for Jayanti in our Scorpio, both sides of the road had dense forests. The road condition was quite wonderful as we picked up good speed. We were chatting up with each other but also were keeping an eye on both sides. The thought of a wild elephant coming out there in everyone’s mind. 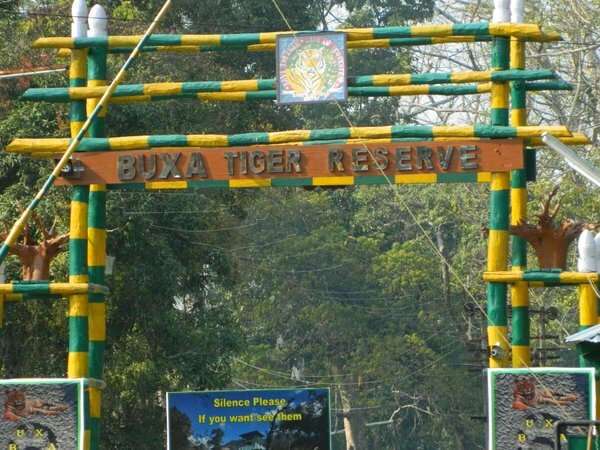 Soon we reached the entry point of Buxa Tiger Reserve and got our permit done there itself. The permit is valid for one day only. Next day when you cross this post you need to get another permit. 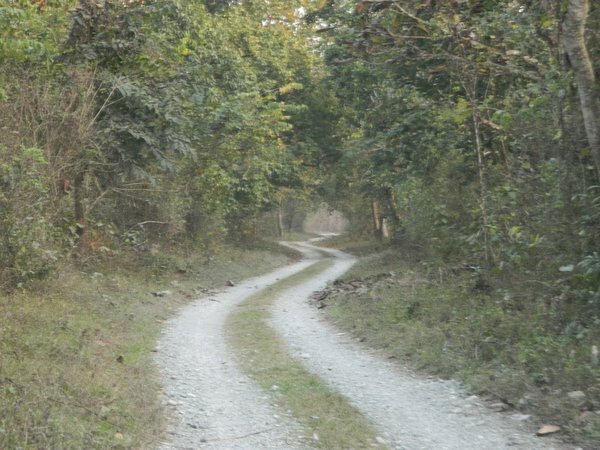 Once the permit was done and we entered Buxa Tiger reserve, the feeling of entering the jungle got even more intense. Not that the density and the surroundings changed a great deal but still the feeling of entering a ‘tiger Reserve’ enthralled us. The question that was in my mind (still I am not sure about the answer) was whether there are actually Tigers in Buxa Tiger Reserve now. We had heard that there are elephants and leopards but somehow the word “Tiger” when associated with a forest gives excitement a whole new dimension. I was wondering in my mind that whether what he said was true and was a little out of concentration. Just then my sister-in-law shouted “Hati Hati” (Elephant Elephant).Our driver put the brakes and we came to a halt after a few meters. All of us looked back and saw that the trees at the left hand corner were moving and in a moment the “Boss” of this jungle emerged. He was not very big but can’t call him a child also; may just be entering his youth. Behind him emerged another one. This one much bigger followed by a small one. And then finally the big one may be the head of the family. I was awestruck. 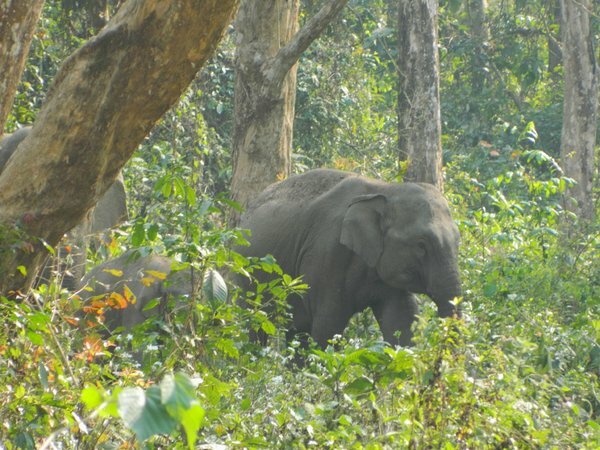 This was my first experience watching an Elephant in the jungle. I was seeing the family crossing the road and turned to check whether my husband is taking the snaps. My sense of thrill subsided and fears set in. He was out of the car and was trying to take better pictures. Once we were done with the lunch we headed for the Chuniya tower which is in the middle of Buxa forest. We were not that much lucky so had a glance of peacock only. Stayed for half an hour @ Chuniya tower & returned to our lodge. Evening had set in. The darkness, the silence, the imposing images of Bhutan ghat mountains in the background provided the perfect atmosphere for having cups of tea accompanied with Muri makha and aloor chop. Dinner was served early after which we decided to take a stroll on the river bed which has become dry. Yes, Kanchankanya is late almost everyday..!!! I have posted a part of my journey but i am unable to upload pics..!! !It is showing server error..!!! Is there any alternative way to upload the pic..? We got back to our Lodge and was informed that breakfast was ready.We quickly freshened up,had our breakfast and checked out. We put the packed luggages in the reception and placed our order for lunch and said that we will be back for lunch. So we headed off as pre-planned for the trek to Buxa fort. We reached the entrance from where the permit was made and we got our guide - Kancha.Now a days the car takes you a further 2 kms and then one would need to trek another 2 kms to reach Buxa fort. Finally we made it to Buxa Fort.Basically the place resembles less of a Fort but more of ruins. Kancha was telling us stories about the fort and Netaji Subhas Chandra Bose’s connection with this place.We hung around this place taking snaps for sometime and then decided to head back to Jayanti. We came down,got into our car and headed straight to Banante.Once we reached Banante we had a sumptuous lunch and left Banante for the Sight Seeing to “Pokhri’’.The journey to Pokhri though a very short one is very beautifull. We reached Pokhri shortly and needed to trek another 1 km to our ultimate destination to see the pond and the famous giant size “Magur ‘’ fishes.On our way up we spotted a hornbill flying above and it was a great sight indeed.We made it to the pond and our guide asked to throw soyabeans to feed the fishes which we had bought in Jayanti.We had just thrown a few and there was a jostle in the water.I couldn’t believe my eyes.Those are fishes or what!! And that too ‘’Magur’’ fishes.They were huge and so many of them…..had fun watching them fight for the soyabeans. 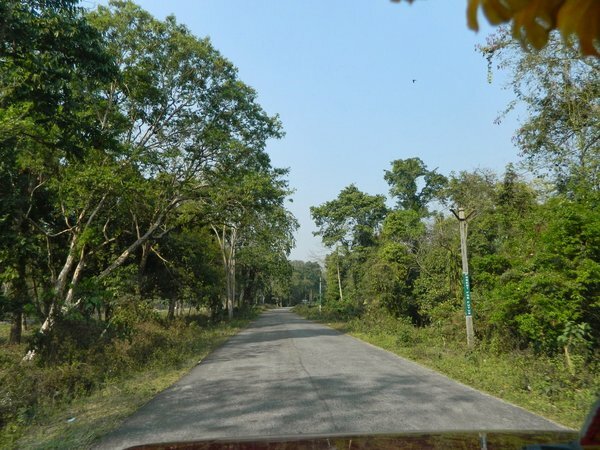 After a while we decided to head back to our car.Our plan was to go to Chilapata directly.On our way we would be dropping by to visit the Rajabhatkhawa museum. 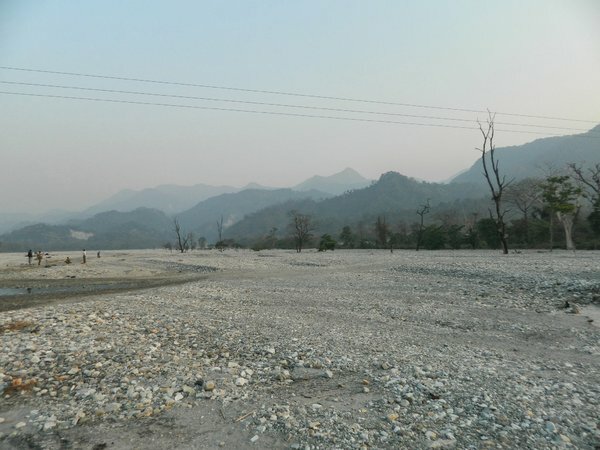 When we were making our way to Rajabhatkhawa, Amit da asked us whether we would like to go for another safari in BTR(Buxa Tiger Reserve) and we were like “There is no point doing this as we have already been to Chunia tower last evening and didn’t see any thing’’….So we first decided that we won’t be going again but still asked out of curiosity whether the safari will be to Chunia tower again. Amit da laughed and said ‘’No not to Chunia but to Gorom Beat’’…..He said that Gorom Beat is very very dense and it would be thrilling to go there in the evening.Though we were skeptical at first but then agreed as reaching Chilapata was not an urgency.We were scheduled to do the safari in Chilapata next morning only. A sense of thrill mixed with loads of fear had set in.All of a sudden a herd of wild buffaloes came just in front of our car.They were so close and they were scary given their huge size and large horns.They were blocking the road ahead and our car could hardly move forward.Somehow it did after 20-25 of those wild beasts made way for us.When the car was passing by them their proximity to our windows shook us from within. 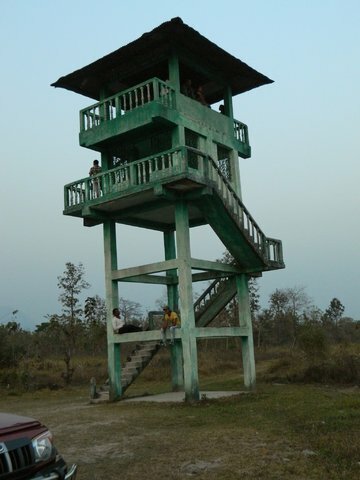 After travelling through the dense forest we arrived at a small clearing which had a tower.We stealthily moved out of our car and made our way to the top of the tower. Nice Trip Report. Waiting for the next part . Nostalgic -- Only word i want to say .. I'm revisiting my all-time-favorite place through your TR. 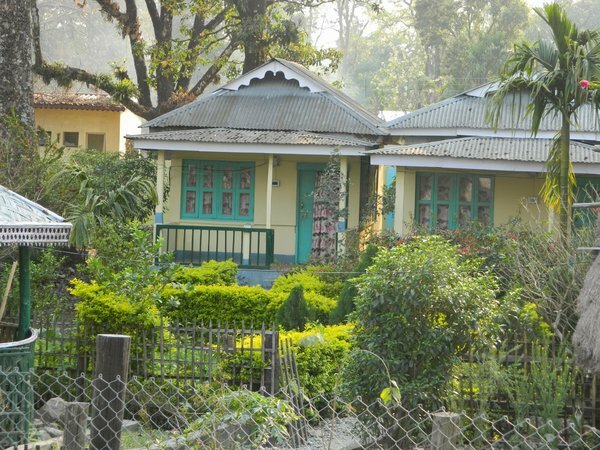 It will be nice if you post a brief review of "Bonante" homestay. Thanks.